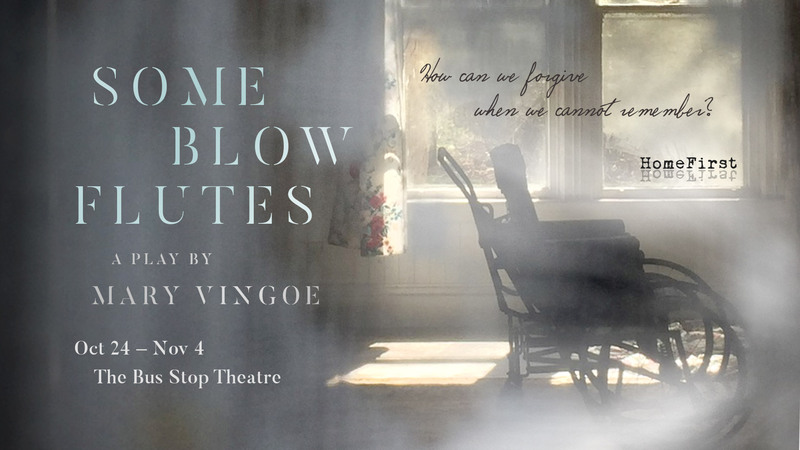 Some Blow Flutes is a new play by HomeFirst Theatre’s Artistic Director, Mary Vingoe. The play deals with the effects of memory loss, both that brought on by illness and that which is self-induced as a way of numbing pain. The play asks the question; How can we forgive when we cannot remember?